CASINOCRUISE Welcome Bonus UK 2018 - £100 + 200 Free Spins! Well rounded, satisfactory and solid! 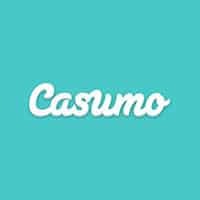 CASINOCRUISE online casino did their maiden voyage back in 2014, and have since offered a frequent contribution of games, now ranging over 1,200+ games. 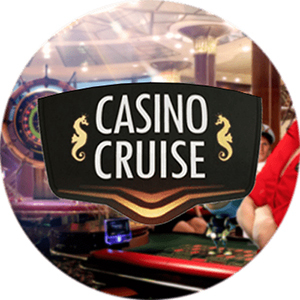 CASINOCRUISE offers a fun gaming experience while letting you cruise the world and find new adventures in different parts of the world which you can virtually explore. When it comes to variety, CASINOCRUISE is a jack of all trades, if you will. Take advantage of the double/quarter screen function which allows you to play multiple games at a time. They offer a really nice welcome bonus, but be sure to know the bonus terms, since there is some things you need to consider in order to make right of the bonus! Further below you will be introduced to a video clip of some CASINOCRUISE gameplay as well as additional information about the casino. Highest staff-to-customer ratio in the industry! CasinoCruise online casino gives you 1200+ of the best online casino games, including some popular titles from the leader game developers, in other words, the usual squad of: Microgaming, NetEnt, Play’n Go, Evolution and NYX. One website. 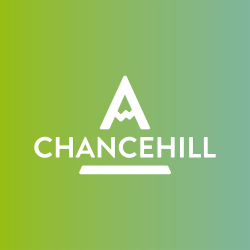 One online casino. CasinoCruise actually offers a lot of the games that can be hard to find at other casinos, this might be the result of CasinoCruise being a relatively new casino that wants to hit the market hard. 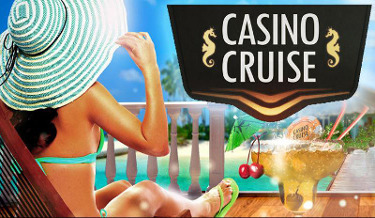 Casino Cruise offers a fun gaming experience while letting you cruise the world and find new adventures in different parts of the world which you can virtually explore. People often dream of going to Las Vegas or Casino Cosmopol, but can only settle for an online casino, or those who want to go on a vacation but has no more vacation days left, CasinoCruise has finally given you an escape from your average week day, by combining both the temptation of going on a nice cruise and to play at an awesome casino! Disclaimer: Any mentioning of the phrase “Free Spins” only emphasize the fact that you don’t have to pay for the spins itself, the spins that come with a welcome bonus or a deposit bonus is not “free” in the remarks that you can receive them without having to do a deposit. CasinoCruise did their maiden voyage back in 2014, and have offered quite a high bonus since then. It’s pretty unusual for a casino that has been around for 4 years to still offer such grand bonuses, wether this is a good sign or not is yet to be revealed. The trend shows that online casinos that is doing well often lower their welcome bonus since they don’t really need it in the same way as when they were a new casino. It’s not a surprise, and you have surely already figured out that the welcome bonus consists of a deposit bonus, which gives you a percentage increase in the amount of money you deposit, as well as free spins, who gives you an amount of free Spins which you can use on either all or a selected amount of slots on the website. Whether the free Spins winnings are yours as pure cash or need to meet a wagering requirement can sometimes be a deal breaker for some, but since you still want to wager your deposit bonus (which you always have to do), this is often a non-existing problem for serious players. You will need to enter the codes in order to claim the bonus. The free Spins will be given to you for 10 days straight, and for 20 free Spins each day after your first deposit. You can only use the Free Spins on Stardust (pretty much the most popular one, so don’t worry) and they are valid only for 24 hours, so better start spinning! Also, only one bonus can be active at any one time at CasinoCruise. The result of this “stupid” rule is that you can’t have any bonus money in your bonus balance when you claim a new deposit bonus. This means that you have to use up all your bonus money in order to receive the next one and so forth. $10 is the minimal amount in which you have to deposit in order to claim the bonus. There’s also a wagering requirement (of course, makes sense) on both the welcome bonus and the Free Spins, which is at x40 times the amount of money you deposit for your deposit bonus. Pretty easy math, but good to know. Your bonus money is “locked” on as a “bonus balance” until the wagering requirement has been met, and when this is done, the bonus money will be converted into a real money balance. PLEASE NOTE! You HAVE to meet the wagering requirement within 14 days from claiming one of the bonuses, or else the bonus balance will expire! 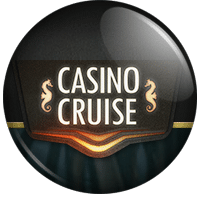 After you have made use of your welcome bonus, and wish to continue the journey with CasinoCruise, they will offer you even more bonuses once inside. They have a lot of seasonal offers, where their main price tend to be (and in its right place) a cruise! On Tuesdays you’ll be offered a 25% up to $100 in a one-time deposit bonus and on Fridays, they offer you “the Friday Freebie”. This one is a bonus that takes your weekly gaming into account and offers you the chance to some Free Spins. You can discover this bonus in your inbox or live chat. The number of games available at CasinoCruise online casino is slightly ridiculous. You’ll never need that many games, but when you play here, you’ll hardly want for anything that is not already there. So make use of the huge portfolio of games they have available. If we turn our focus to games, the ones sticking out is most definitely the slots. And as usual from the same game developers NetEnt, Microgaming, Nyx Interactive, Thunderkick, ELK Studios and Play’n GO. They have Jungle Jim El Dorado and Turning Totems! Two fantastic games. And table games. They have Roulette, Baccarat, Black Jack and some Poker games. All and all there are around 60 table games at CasinoCruise. They also have around 30 Video Poker games. They also have some fun and skill-based games that can be really fun to try out. Oh, and you’ll find Keno and Scratch Cards as well. You can also join one of the Live Casino table games like Casino Hold’em, Black Jack, Baccarat and Roulette. Open to play 24/7. The Live Casino is hosted by Evolution Gaming and it offers you a really good experience. Also, you can always see the stakes in every game before entering, that’s pretty cool cause you can then choose a table in which the stakes more suits you. Another cool thing is that you can play multiple games at any time, this means that you can split your screen into a 2-split or quarter screens to be able to play either two or four games at a time. The selection of Progressive Jackpots at CasinoCruise online casino isn’t as huge as one might think, but actually when do you want to jump between jackpot slots? As long as you have the Mega Moolah and Mega Moolah Isis, you’re pretty much set. Also Mega Fortune, Hall of Gods, Arabian Night and Major Millions is to be found. They can all make you a millionaire overnight, but they can also bleed you dry – so be careful! A well designed mobile site is also available for CruiseCasino if you wish to play slots or a small selection of table games through your iPhone or Android device. Registering an account was a very simple process, and it only required a minute or so to punch in my personal information to get set up. If you ever need help along the way, you can easily reach CasinoCruise’s professional and friendly support team. In the latest researches, CasinoCruise is selected to host one of the highest staff-to-guest ratios in the industry. This, of course, doesn’t mean much if the support actually is given is bad. But of course, as any other casino know, is that if it is something that can get a customer to abandon your service it’s the customer support. This is also the biggest overall complaint area throughout the whole industry. They offer live chat, email and phone contact, and we have yet to find a reason to contact their support, but it’s pretty safe to assume that it is good. They have different numbers you can call from different countries. They also host a good and comprehensive F.A.Q section, so be sure to check it out before contacting the support. The front theme shows you a man and a woman, who looks like they are taken from a really bad commercial poster, posing in front of a big cruise ship. The front page picture that shows before the slide starts to roll you through their offers is actually really good and shows you that you have come to the right place. There’s no wonder that you have ended up at CasinoCruise online casino and since most people make their first impression in the first 2 seconds, this is a truly big plus for CruiseCasino. They have a easy-to-navigate full width site which offers you two clear and informative menu bars, one in the top, and one just under the “above the fold”. CasinoCruise is led by the company Genesis Global, who also hosts online casinos like Sloty. Genesis Global Ltd is licensed and regulated by the Malta Gaming Authority for operating a gaming system provided by Net Entertainment Malta Limited. 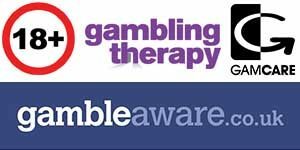 Genesis Global Ltd for UK customers is licensed and regulated by the UK Gambling Commission. Some of the games come with information about the RTP, which is probably provided by the software developer, and CasinoCruise lists all the Microgaming RTP’s under the “Games Payouts” button. But it was harder to find any payout information for CasinoCruise as a whole. This has yet to be found, to bad about a casino who claims to aim for transparency. CasinoCruise also offers their players an assistance in responsible gaming by adding different kinds of deposit limits, loss limits, wagering limits as well as a reality check as options on their accounts. The reality check lets you be reminded on exactly how long you’ve been playing for as well as how much you have won/lost. It should, however, be easier to set this limit up but to have to contact the live chat or customer support through email. But since we have never tried there functions out, I guess they work as promised. 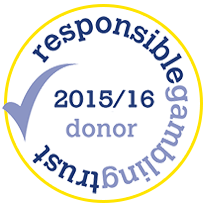 You can also opt to self-exclude yourself from the casino, which can be set up to 5 years. If you would like however to end this self-exclusion, you need to have a 7 days cool off period in order to prevent you from doing something rational that you might end up regretting. At CasinoCruise, you will be offered pretty much the same methods of transactions as at other casinos, the usual debit cards such as Visa and Mastercard, as well as the E-wallets Skrill, Neteller, Paysafecard etc.. Also a normal bank transfer is possible, but not really preferred. You can find all the info and different payout requirements as well as payout time under “support>payment options“. The withdrawal times spans from 1-3 days for bank transfers/debit cards and instantly for E-wallets. Pretty much the same method works both for withdrawals as well as deposits. CasinoCruise brings you a casino, but not really out of the ordinary. If you’re expecting something that you haven’t tried yet, you won’t really find it here. 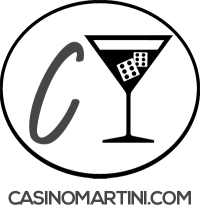 By all means, this is not considered to be bad, it’s just that all casinos need their own niche to brand their trademark, but not all casinos have to be different. You see the difference? CasinoCruise really succeeds with their niche in providing a cool boat cruise experience and it’s really in style with the casino world. Everything on the site is evenly laid out and everything runs smooth, but it feels like something is missing. Maybe a special protagonist/character that most people have subconsciously grown so fond of at other casinos? This is the only way CasinoCruise falls short, otherwise, it reminds you of InstaCasino in ways of gaming and just a robust and safe casino to visit, nothing more and nothing less. The welcome bonus is still pretty generous, but as discussed, this might be a sign that CasinoCruise isn’t doing so well? Or maybe not, let us not overanalyze! The Table games are to recommend at CasinoCruise, cause they’re always packed and the way you can see the stakes before entering is really nice! Try out CruiseCasino if you want to play a casino solely for the purpose of having everything going easy for you, without all the extravaganza or get bombarded with things you probably don’t want anyway.